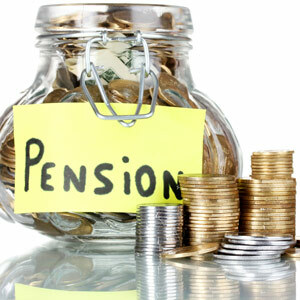 The Increased Prevalence of DC Pension Plans is Going to Change the Way We Retire. How to Prepare? One of the key findings from this research is that there appears to be a welcome sense of realism among employees about their retirement prospects. Nearly half of the respondents expect their pension to be between 21% and 50% of their salary; the same proportion expect to retire between the ages of 66 and 70; and nearly one in ten don’t expect to be able to retire until they reach their 70s. able to adopt the traditional approach to retirement, that is, work full time and then retire fully from all paid employment. Just over 40% of our sample expect to ease into retirement by working part-time before they retire, while nearly 5% expected not to retire at all! ^This is heady stuff. The broad-based shift away from traditional, annuity-based pension plans has made the idea of a straight shift from full-time employment to retirement less than even a pipe dream for nearly half of the U.S. workforce! AH correctly points out that most employers are not ready to accommodate a paradigm in which 40+ percent of its workforce shifts from full to part-time, but when employers do catch up (most likely as the shift occurs) it’s going to create a compelling opportunity to skill up junior members of the workforce! I say this because currently knowledge management and transfer is perhaps one of the biggest gaps facing employers the world over. It’s an all-too-common situation: Valuable contributors leave their teams via all manner of attrition, and the remaining workforce often either doesn’t have the ability to fill the gaps at all, or else fills them sub-optimally. ^A shift towards phased retirement will get rid of a lot of these knowledge transfer issues, though. Obviously voluntary turnover from early and mid-career professionals continues to be a big challenge – one perhaps expounded upon by the portability of DC pension plans removing the pension as a retention hook for employers looking to preserve valuable human capital. But imagine a world in which a workforce’s most skilled labor gradually hands of responsibilities to the younger generation as opposed to leaving (often times massive) gaps when they retire. ^I think with this we’ll see a world in which more and more employers take advantage of the fact that the Fair Labor Standards Act (FLSA) does not differentiate between full and part-time employees or require that employees work a specific number of hours in order to be classified as exempt. Employers will come up with flexible working arrangements that allow high skilled, experienced workers to transition out of their roles as their financial circumstances allow. And to this point, the implications for compensation are immense. Putting together a total comp package that recognizes the reduced role an employee is in while at the same time allowing them to transition to retirement in a way that makes sense will be a challenge. And gradually raising a junior employee’s total rewards package over a progressive period of time as they take on more and more of a senior employee’s job duties will require a re-thinking of the current pay and promotion cycle prevalent at the majority of companies throughout the U.S.
…Just a Friday evening thought stream. As always, please share your thoughts in the comments section below.